Antwan is a coyote, wild as they come. He likes his meat raw, not out of can. He likes hanging with his gang, the Diablos. He does not want to be a pampered pooch. No way! Budy is a doggy movy star with a taste for fame and luxury. Since he retired, Buddy has been bored with everything (except the delicious poodle Miss Betty). Buddy wants to try life on the wild side. And he thinks Antwan could certain benefit from some house-training. Can the coolest coyote on the block really learn to be a pet? I always love animal story. And this book offers me the thing that I love, coyote! I've told you that I also love wolf and kind of that like coyote. It's cute by the way, though it's so wild. Reading Antwan's story makes me laugh most of the time. I bet you'll do the same when you read how the author describes the animals in this story. You'll meet Antwan who's so cool. He tells Ramona, his sister that to be a home doggy is stupid thing. According to him, dogs are not smart at all. They just do what the master say and that's so stupid. Conversely he is in the house to be a pet though! Well, may Antwan changes his mind after he meets Buddy, the bored doggy. He just puts a pity on him then helps him to change his place in the house. Buddy will be included in a pack and he will be a sweet pet. Lola is a cute cat. She is as pride as Miss Betty is. But the one thing is she does help Buddy from the wolves hunters. The story ending is quite surprise me. I don't expect it will be ... arrgh! 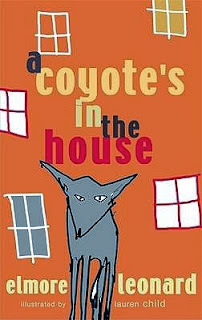 6 comments on "Kilas Buku: A Coyote in a House"